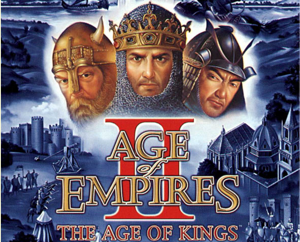 In my teens my brother and I spent countless hours battling each other in multiplayer Age of Empires I, II & III (AoE). Over the years, we devised and tested many different strategies. All of the in our attempt to find the edge that would enable us to beat the other person as quickly and easily as possible. Two key things I quickly learned to do were to build defenses and efficiently acquire resources in mass quantities. With those two things addressed, I could execute my other strategies knowing that I was "safe" and I had the resources needed to build a horde to relentlessly attack and destroy my brother's castles and cities. Your affiliate marketing empire, large or small, needs defenses to protect it and resources to fuel it's growth. Your landing pages, banners, ad copy and more are being copied left and right. Every day, new competitors enter your niche fighting you for the same finite number of targeted clicks. Offers go down, networks disappear, advertisers vanish, it's a crazy war zone out there! That's why you need moats, guard towers and other defenses to protect what you already have. But spending all your time and effort protecting what you have is only half of the battle. While busy protecting what you already have, you also have to acquire the resources needed to expand and compete for more slices of the cake. Ignore this, and you are automatically on the path to obsolescence. I'll explain this further in a moment. Additionally, you will need some or all of the following: Money, cutting edge technology and tools, ideas, exclusive partnerships with advertisers, networks and traffic sources, a team to support you and more. The correct mix will be unique to you. But remember that without the life giving and sustaining essentials, it's difficult or even impossible to survive. When you lock up all the best resources such as traffic sources, placements, offers, tools and more, the competitive advantage is yours. In addition to more and more aggressive competition, another reason affiliate marketing has gotten harder is because the smart affiliates that participated in the land grab of the early days have locked up the best resources continue to scout for and lock up any new resources that come up before anyone does. The scraps are left for the masses of affiliates to fight over. You can choose to keep playing the game but to truly escape there only one thing you must do. This strategy is used by of the biggest multibillion dollar corporations like Apple, Google and Amazon to dominant and destroy competitors. Tomorrow I'll reveal this simple yet powerful strategy and show you how you can use it in your business immediately.